Black and Blue: The Unofficial Lincoln Stars Blog: Happy 2nd Birthday to the B³! Happy 2nd Birthday to the B³! I'm one day late with this, but I wanted to quickly mention that the "Black and Blue Lincoln Stars Blog" turned two years old yesterday! Happy belated birthday to the B³! It's hard to believe I started this blog two years ago. At the time, I figured it would be a spot where I could talk about my favorite USHL hockey team, and I never expected it would grow to where it is today. It's a lot of work, but I'm very proud of what we have built here. Wow, I never knew that. The 2 most important things in my life started on Feb. 23, 2009 (the B3 blog and my first date with my now fiancee). Crazy. Yeti, thanks for all of your hard work on the blog! It has been a lot of fun, and a great place to keep up with our favorite team. 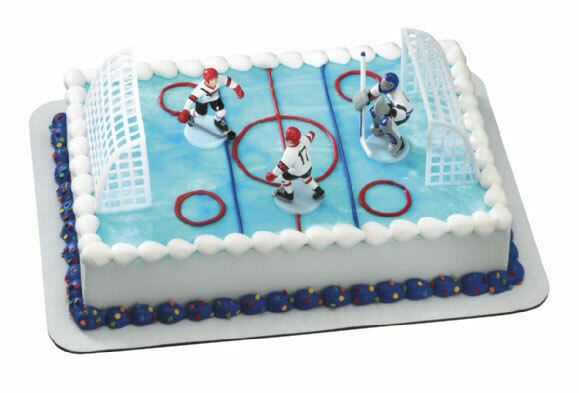 Happy Birthday B³ - appreciate the hard work and dedication in keeping us updated with everything that is Stars hockey! Go Stars!! The "Road Trip from Hell"
Congrats to Chris Casto and Kevin Murdock!